X.Y.Zèbres : Ailleurs Records : Marc Morgan : Discordance E.P. 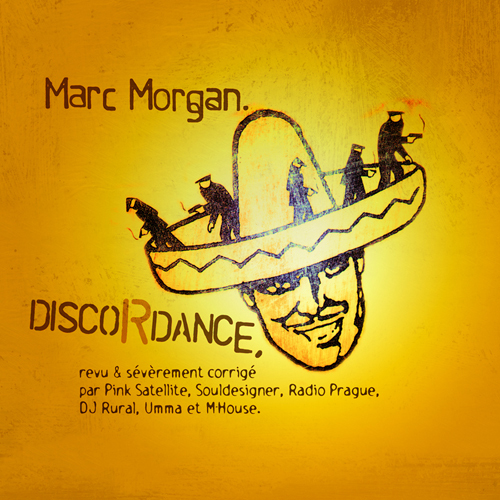 2002 : Ailleurs Records : Marc Morgan : Discordance E.P : production. Promo EP (Viva Disc), no commercial release. Discordance (Pink Satellite Remix) : produced by Olivier Désir. Discordance (Soul Designer Remix) : produced by Fabrice Lig. Discordance (Radio Prague Remix) : produced by E.T. Ben Souf and Jules Nerbard. Discordance (DJ Rural Remix) : produced by Jules Nerbard. Discordance (Umma Remix) : produced by Christophe Loercke. Each mix mastered by their respective producers. Original tracks produced by Marc Morgan, all instruments by Marc Morgan. .mp3 - 320 Kbps - 10,5 Mo. .mp3 - 320 Kbps - 10,2 Mo. .mp3 - 320 Kbps - 7,5 Mo. Marc Wathieu : original instruments and sequences.